The definition of Assurance is a pledge, guarantee, or confidence. We pledge to attentively guide you through your real estate transaction. We guarantee thorough and timely title and escrow services. We are confident that your title experience will be pleasant. Assurance Title is a full-service title company serving the Fox Valley community since 1984. From the beginning, we have been committed to professionalism and delivering quality products and services. We have continued to educate ourselves and make necessary changes as our industry evolves. 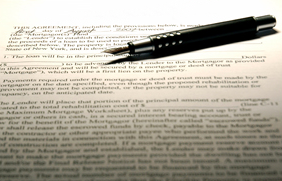 Whatever your title needs may be, (title insurance, letter reports, real-estate closing services or new construction escrow services), we'll work closely with you to ensure that all the i's are dotted and t's are crossed. Properties are like people, unique. Each property has its own history, whether it's a piece of vacant land, a Victorian home, or a newly built ranch in a new subdivision. Our process starts with in-depth research at the courthouse and our own internal records. We then examine each property's history. This evolves into a quality product that our customers rely and depend on for years to come. With Assurance Title, there are no hidden surprises and each party to the transaction receives special attention. For the seller, they walk into the closing knowing in advance what they are netting from their sale. For the buyer, our experienced closers will explain the documentation in detail and they will walk away understanding what they just signed. For the professionals, (Realtors, Lenders, Builders and Attorneys), they can rest assured that their clients are in good hands, even in the case of last-minute adjustments, because we excel at troubleshooting. In fact, it's what makes the difference. For us it's all about our customer's experience. Our professional staff creates good experiences for our customers. From start to finish, and even after the closing, we are here for you to rely on. Real estate transactions can be intricate, and perhaps the largest investment of your life; look to the title company who has the knowledge and expertise to handle each unique situation. At Assurance Title we treat our customers the way we would want to be treated, by providing a quality product, with great service and a smile.